Re-Usable Hub required to use the 6" Rausch Style TruGrit® Wheel in 8" pipe. We have 6-8 Inch TruGrit® Rausch Style, fitting the L135 Sewer Camera Transporter. 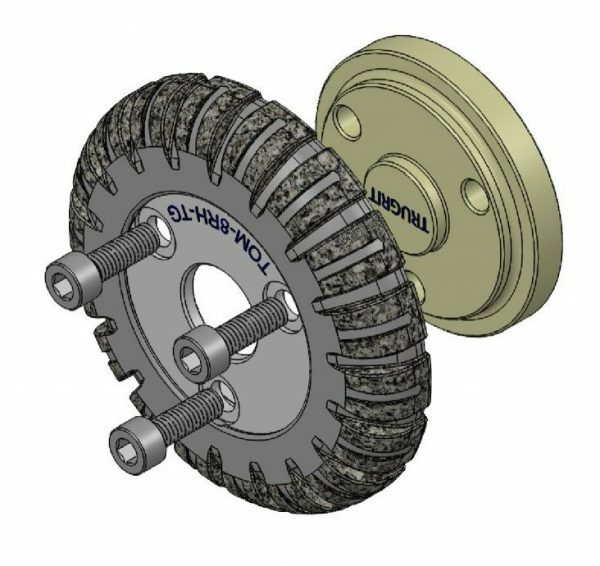 Each wheel includes a molded outer hub, so the inner adapter Part # HA-8RH-SS is only required for 8″ pipe and is included in this assembly. 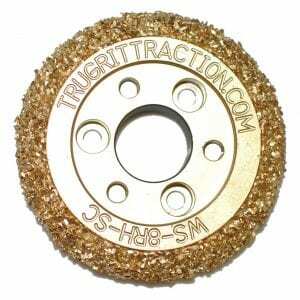 Stop struggling in greasy pipe because you don’t want to wear out your expensive steel carbide grit wheels, make the 6″-8″ TruGrit® your go-to wheel for all types of pipe. 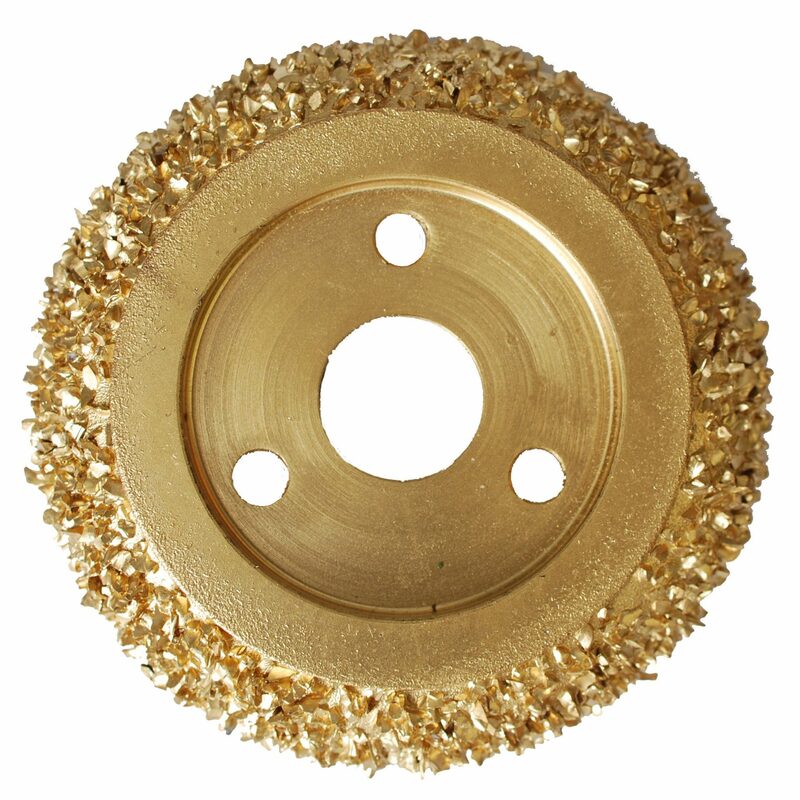 The more they wear, the better they get because the carbide grit is embedded throughout the polymer all the way to the hub. This affordably-priced part can fit into both 6 and 8 inch pipes, as well as a wide variety of different pipe types. This piece is required for sewer pipe camera transporters. With this part, you will effectively be able to provide pipe inspections when a client pipe problem arises, such as a burst pipe. 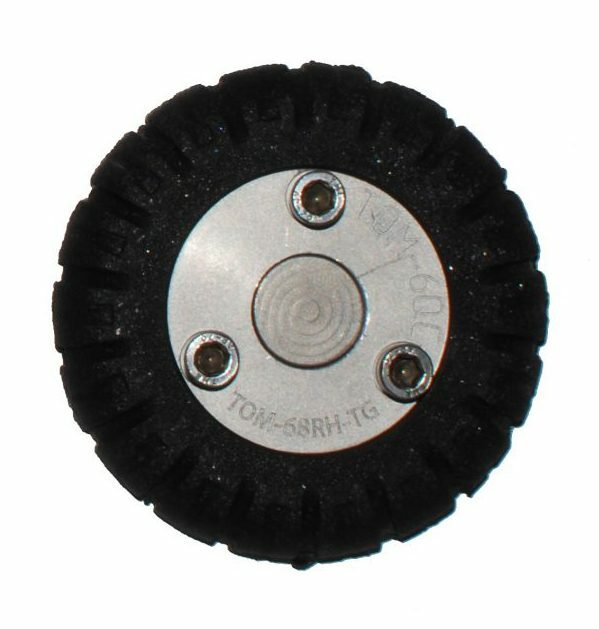 The TruGrit Wheel/Hub Assembly is an essential part of your inspection system, and is expertly crafted to ensure you get plenty of use from it without major failure. This part is durable and can survive heavy wear, providing you with efficient usage in the long-term. This part is guaranteed to help to solve any and all your piping camera transporter needs. If you have any questions regarding this piece or its applications for your project, don’t hesitate to reach out. One of our knowledgeable professionals is happy to help.